Did HK use different types of Muzzle Brakes on the G3/91 and 93? I've got a couple of brakes from a now deceased buddy that look more like AK brakes. He marked them as for the 91 and 93. I'm certain that he did not in his mind make a mistake in his assessment. That said, were there aftermarket brakes made for the rifles that were in the AK style? 91 and 93 original flash hiders are the same. That’s because HKpro has some serious retards on that forum. 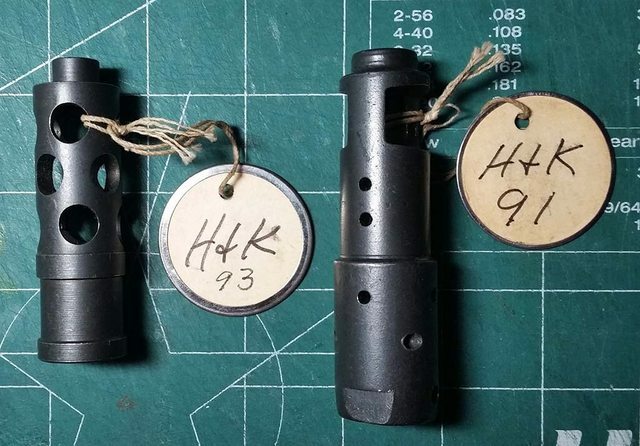 Did HK use different types of Muzzle Brakes on the G3/91 and 93? No. There may have been some rare and obscure spigot or brake that I've never seen made for a specific special purpose but for issue Bundeswehr as well as export rifles the standard G3/33 brake has been installed. There was an early and late version but nothing like you describe. All HIDERS not brakes from the roller lock years. 91 and 93/33 all used late model. 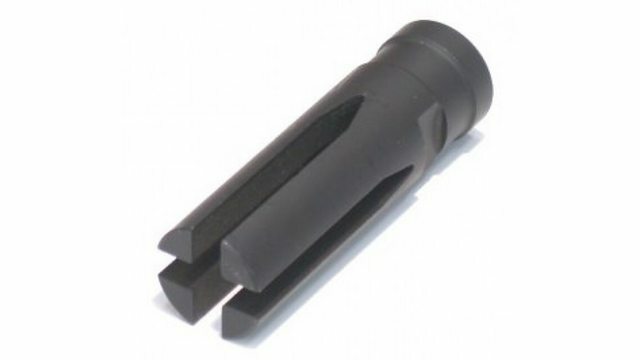 There are all kinds of aftermarket flash hiders and muzzle brakes. It might help if you post a picture of the ones in question. Agreed. MUZZLE BRAKES. let's deal with that issue. Hard to argue that point. But, where else am I going to go to learn about tacticool crap for a USP or how cheap my overpriced Glock 17 clone known as a VP9 is now going for? Hell, I'm still all excited about getting a clear frame for my USP. Last edited by adbm3; September 29, 2018 at 00:18. Klaus: I was originally going to post pictures but have a hell of a time on this site doing so - except oddly in the marketplace. Yeah, Yeah, I know about photobucket but I'm too old and cranky to deal with that at the moment. PM me with your email and I'll send you pix of what I have. Alternatively, I posted pics under a similarly titled thread in the Long Gun talk section of HK Pro. I am more convinced these are aftermarket Frankensteins. I have never seen them before. The 91 brake looks like a modified AK74 brake.